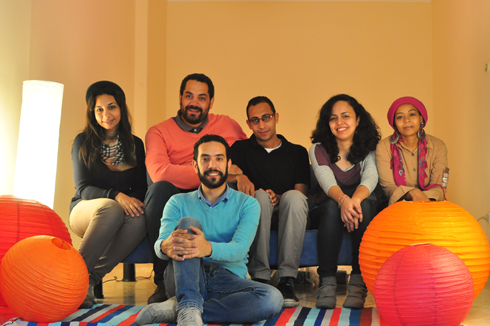 Rufy’s is an independent film house and a self funded initiative that supports independent filmmakers in Alexandria, Egypt. It is producing and co-producing a handful of diverse films that are currently going through different production phases. It also provides photography, pre-production and production services, editing facilities, location scouting and film crew recruitment. 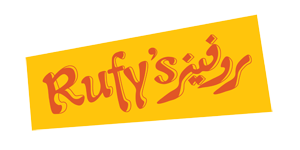 Rufy’s was established in 2009 but closed in 2010 and reopened in 2013. 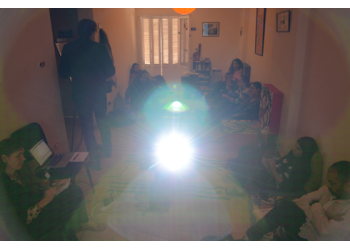 It has been organising film and art related workshops as well since 2009 as an entity or as individuals. Rufy’s is now collecting film and cinema related books for its cinema library that’s open for the public. 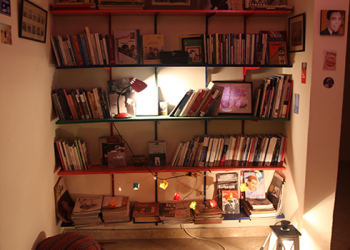 Maher Sherief was generous enough to give us more than 250 books and magazines he has been collecting for years. Please contact us if you have any book you want to give away and feel free to come and read any book you like in Rufy’s. A documentary filmmaking workshop that took place in Rufy’s between April 10th - 14th, 2014. 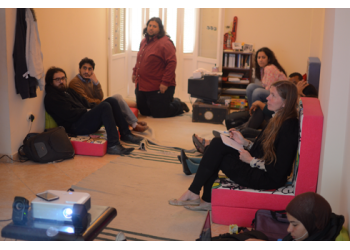 The workshop was led by the Danish film directors Mia A. Fryland & Flemming Lyngse and curated by Mayye Zayed. 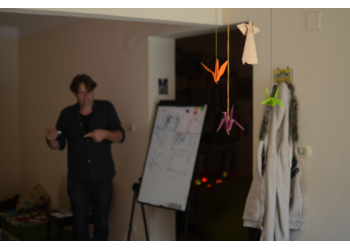 The workshop focused on the creative aspects of story development and tried to provide the 8 participants the fundamental skills to create more engaging cinematic stories. 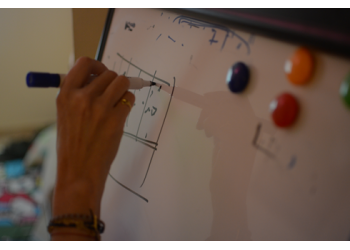 The topics covered included developing the main character, the film’s structure, finding the story in the footage, … etc. The workshop was conducted in English but with Arabic translation.